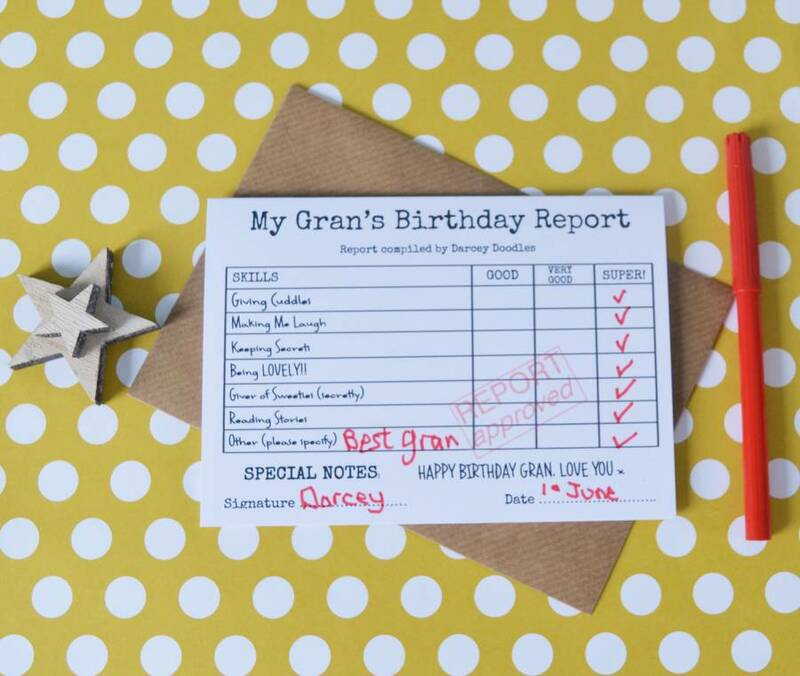 Let your Gran or Papa know how amazing they are by giving them their very own birthday report card! 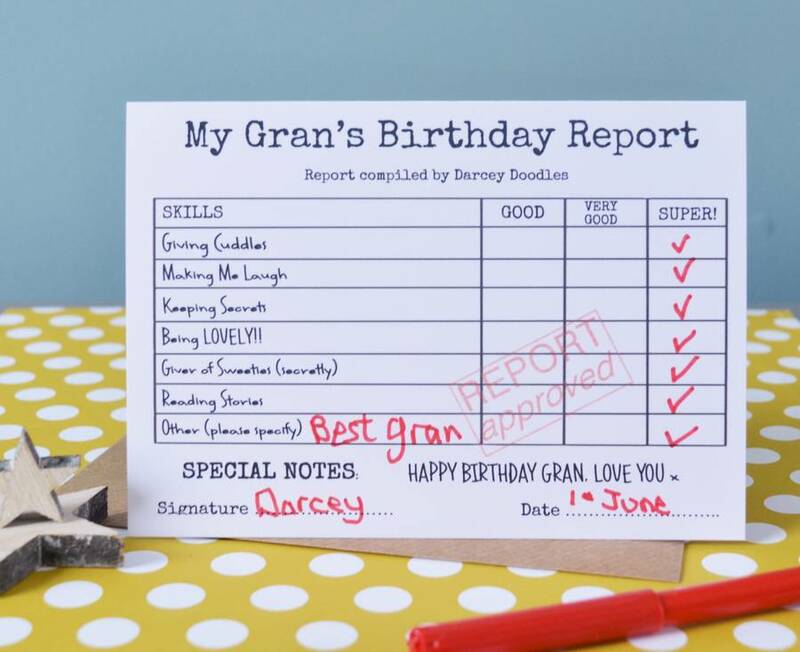 This Birthday Report Card allows you rate your grandparent's skills from Good, Very Good and Super! 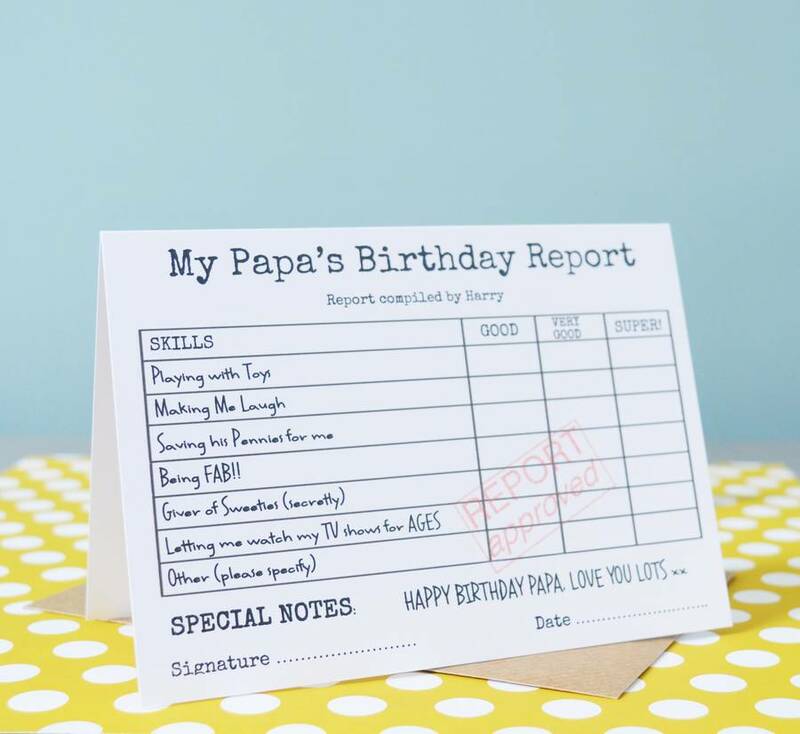 There are 6 fun catorgies to complete with the 7th left blank for you to add a skill or attribute that is particular to your Gran or papa. 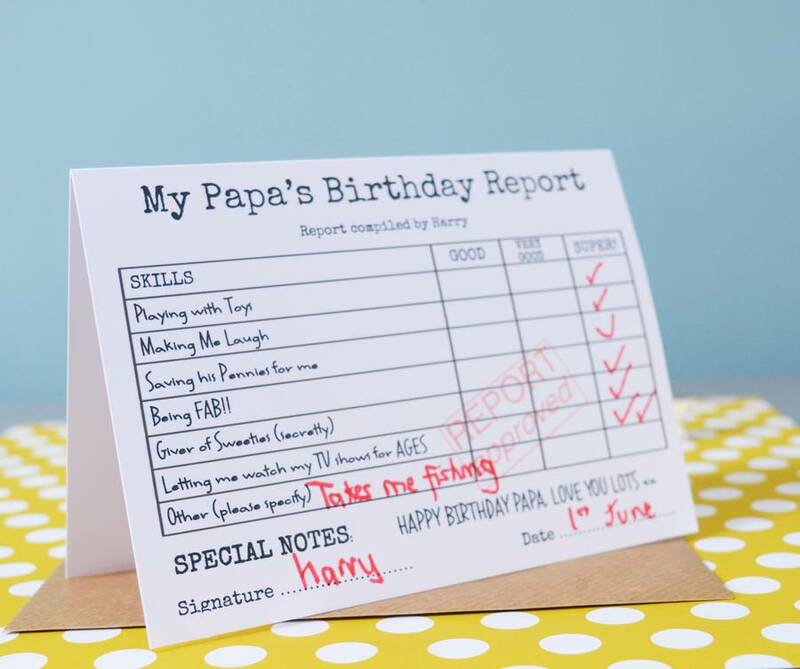 You can also add your own personal message in the Special Notes section that we will pre-print on to the card. 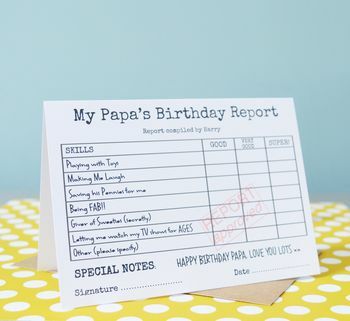 Once you have completed the report, sign and date it! 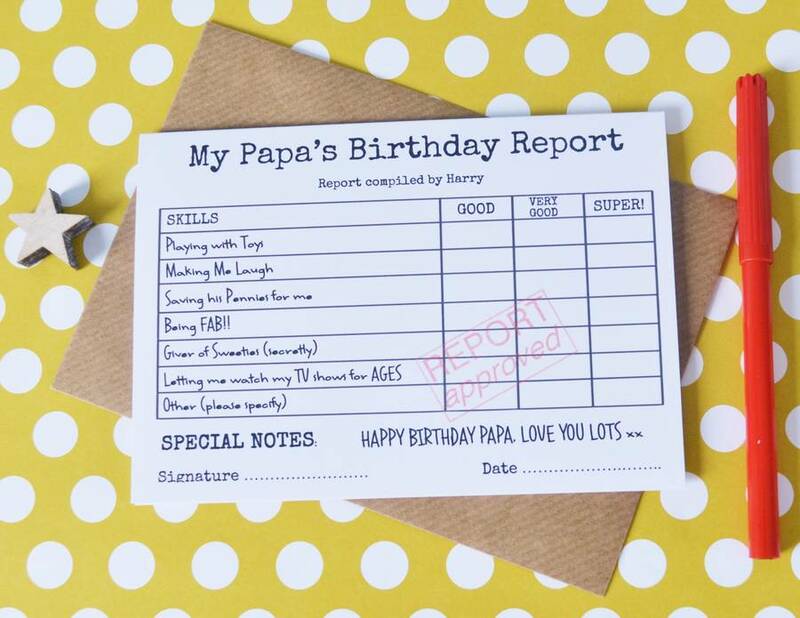 And of course, the report has been approved so it is simply a matter of popping the card into the envelope, and giving it to your grandparent on their birthday. The card comes with a brown envelope and sealed in a cello bag. Card is 10.4cm x 14.8cm. This product is dispatched to you by Make with Mum.